Elk Hunts. Guaranteed Hunts for Trophy Bulls! 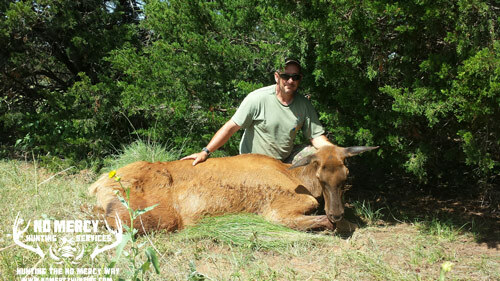 For a true big game experience come check out our elk hunts. We offer both Cow and Trophy Bull Elk Hunts. These elk hunts are a great meat hunt that can really fill the freezer and/or a trophy for the wall. 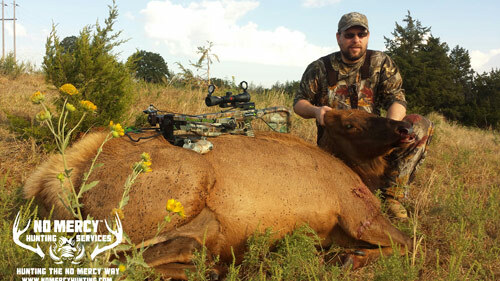 We offer hunts for any budget from cow hunts to trophy bull! These hunts offer our Guaranteed Shot Opportunity or you come back free. These Hunts are conducted from September thru October. We offer Archery, Gun, and Muzzleloader hunts. These hunts include full guiding, transportation on the ranch, lodging, and game retrieval. Game care is not included but is optional and that pricing is available by clicking here: Game Care. An Oklahoma Annual or 5 day Hunting license is required and can be purchased over the counter. The current price for this license is $25 (Annual Hunting) for residents and $75 for non-residents (5 day Non-Resident Hunting). All of our Bull Elk Hunts include a FREE guaranteed shot opportunity wild hog hunt included with your hunt package. IF YOU ARE LOOKING FOR A HUNT WITH NO HIDDEN FEES WHERE YOU CAN JUST COME AND ENJOY THE HUNT, NO MERCY IS THE PLACE FOR YOU! These Elk Hunts are from elevated stands or blinds over feeders or spot and stalk. It is a 3 day hunt with lodging at one of our rustic lodging facilities which offer all the comforts of home. You will enjoy private lodging with a full kitchen and everything you need to prepare meals. If you prefer to eat out there are also several restaurants within a few miles of our lodging facilities. We also provide bedding and bath towels/wash cloths. We can also host non-hunting guests for the lodging fee only which is $35 per person per night. 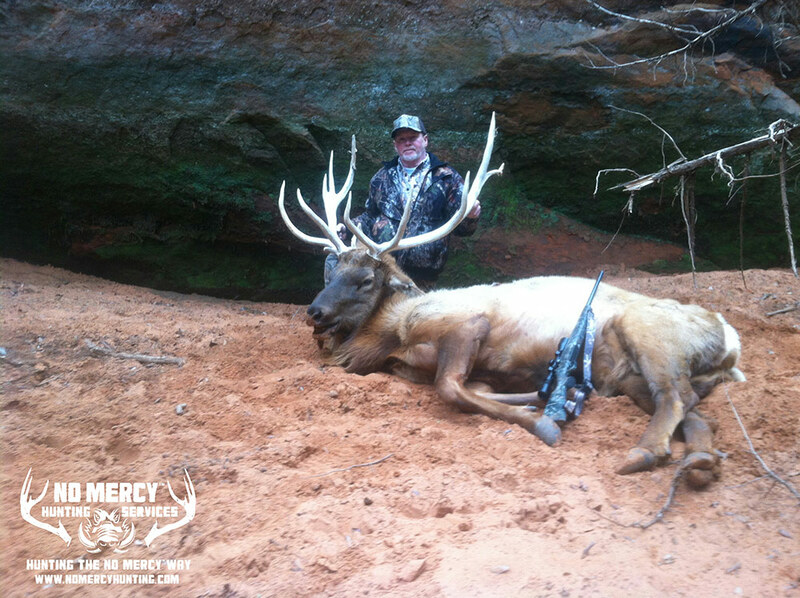 Our Trophy bull elk hunt is for a trophy bull like the ones pictured on this page. These are all bulls harvested on our ranch on the trophy bull hunt. We believe in keeping it simple and our bull elk hunts are a NO TROPHY FEE hunt. We take the hassle out of the trophy fee system that you will find at many other ranches and let you enjoy the hunt instead of worrying about how much you will be paying for the hunt. The bulls we harvest will be 300″ to 350″ gross inches.